What Does Outdoor Living Mean Anyway? We Define It As “The Reason You Live In Florida”! Check out our Outdoor Living Design Gallery and see what we are talking about. When you have weather like we have here in sunny Florida, why stay inside? Well, maybe your backyard isn’t as inviting as you would like. Maybe you have been waiting to find the ideal outdoor living design that would almost force you to live outside. And exactly where do you find such a design? Right here, right now. You have waited long enough and you deserve it, no more talking, no more thinking, now is the time. Why Grand Vista Pools And Not The Other Outdoor Kitchen Guys? Good question. The simple answer is because we do it all and we do it for less. 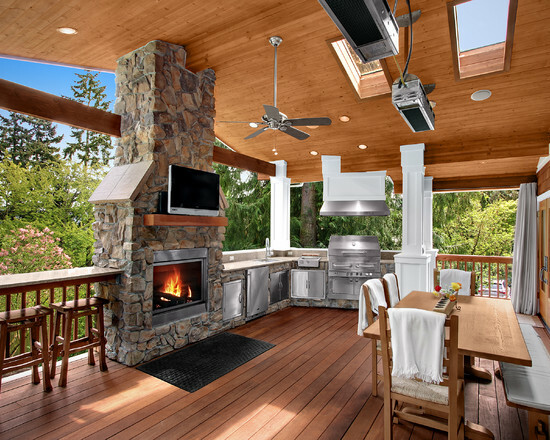 Premier Outdoor Kitchens and so much more! Are you looking to build a swimming pool, an outdoor kitchen, a gazebo, install landscaping, sprinklers and lighting? Oh yeah, and don’t forget that you want to install French doors where that window is now so you have easy access to your new pool and outdoor living area. Well you will need six different contractors to complete this project. Not only is it difficult to find good contractors for all these phases, it is very difficult to get them all on the same page and working together. That is where we come in. As licensed general contractors and licensed swimming pool contractors, we can take you from the idea stage, through the outdoor living design stage and right on through to the swim-in-your-new-pool and enjoy-the-outdoors stage. With our pooled resources and low overhead, we can be very competitive with our pricing and you will have the peace of mind that goes along with dealing with one point of contact. This avoids the typical finger pointing that occurs when individual contractors are involved. But I Already Have An Outdoor Kitchen Guy! That is just fine. We will work with him and coordinate all the phases of the project and it won’t cost you anything additional. We will do whatever we need to do to accommodate you and any contractors that you may be working with. We can still be the main point of contact to ensure a smooth running project. Remember, our primary focus is creating the ultimate backyard experience that you will enjoy for years to come. If all we do is build the swimming pool and you want to handle the rest, no problem we can help.